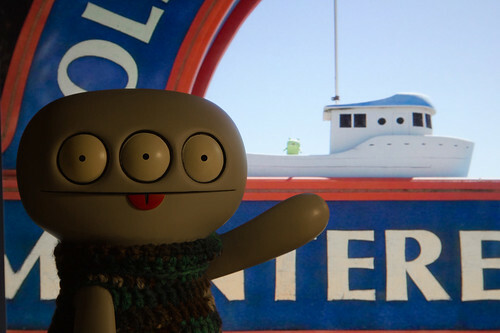 Uglyworld #1913 - Looks Where Jeero Is! - (Project Cinko Time - Image 119-365), a photo by www.bazpics.com on Flickr. Checkers it out, looks where Jeero is! Montereys in Calimafornias, and he has findereds the very same boater that Babo climbereds aboard a coupler of years ago now, how amazerings is that!!! Jeero is one luckiers guy, getterings to tours around Calimafornias and Hawaii's with one of the colleaguers of Mireille, I wishers I was travellerings likes Jeero is right nows!